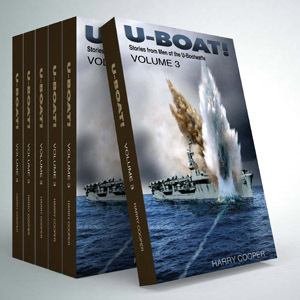 “U-BOAT!” (Volume III) continues the fascinating saga of the German U-Bootfahrer in World War Two plus some stories from the American side. These stories come directly from the memories and video interviews with great Skippers like ERICH TOPP (118-1985) and the top Skipper, “Silent Otto” KRETSCHMER. You’ll also read about the U-Boat activities in the American backyard; the first cargo submarine; propaganda broadcasts; the “tethered goats” – there is even information about the secret mission of U-977………..and a bit about Antarctica! Chapter 1, ‘Submarine Lifestyle’ – ERICH TOPP (118-1985), third most successful submarine Skipper of WW II, tells what living aboard a combat submarine was like. 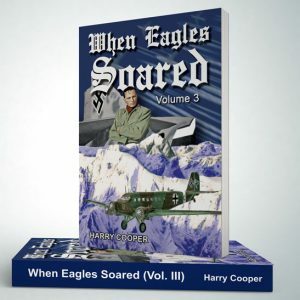 Chapter 2, ‘U-Boats in our Backyard’ – HARRY COOPER (1-LIFE-1983), one of the top 5 U-Boats historians in the world, tells about the first boats into American waters. 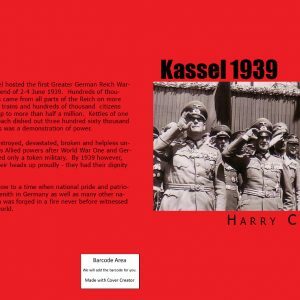 Chapter 3, ‘Interview with Erich Topp’ – ERICH TOPP (118-1985) tells about his time in the Kriegsmarine and his patrols. Chapter 4, ‘Rise and Fall of the U-Bootwaffe‘ – A short version of this elite fighting force. Chapter 5, ‘U-DEUTSCHLAND, Commerce Submarine‘ – This boat had no weapons of any kind but she beat the Royal Navy – twice! Chapter 6, ‘Sachenstolz!’ – The story of Werner Hartenstein, Pride of Saxony. Chapter 7, ‘French Submarine History‘ – A French submarine admiral tells us of their history. Chapter 8, ‘U-Boat Captive‘ – The Skipper of a sunken Allied ship is taken prisoner aboard the U-Boat that sank his ship. Here he tells us of this ordeal. Chapter 9, ‘A Brit Remembers the USN Submarines‘ – A Royal Navy submarine sailor tells of his time aboard an American combat submarine. Chapter 10, ‘Propaganda Wars and Fregettenkapitän Norden‘ – J. WANDRES (550-1988) tells us about this man and his anti U-Boat propaganda broadcasts. Chapter 11, ‘Paukenschlag off Capetown‘ – SIGMUND KLAUSSNER (211-1986) tells us of the U-Boats that attacked shipping off South Africa. Chapter 12, ‘Axis Sally‘ – JAMES SANTOS (4896-A/LIFE-1996) tells us about this American traitor. Chapter 13, ‘Get the RIO GRANDE!‘ – Action on the high seas as reported by SIGMUND KLAUSSNER (211-1986). Chapter 14, ‘Loss of SS BARKDULL (another theory)‘ – put forth by LEN BAUER (1526-1990). Chapter 15, ‘Silent Otto’ – This is a conversation with OTTO KRETSCHMER, the top submarine Skipper of World War Two, in 1993 during a Sharkhunters Convention in Chicago at a surprise birthday party for Mrs. Kretschmer. Chapter 16, ‘Sinking of the BERTA‘ – ALFRED NUESSER (1092-1989) was an R-Boot sailor and he was being transferred to another command and riding as a passenger on the ancient tanker BERTA when they took a torpedo and he found himself in the water. Chapter 17, ‘Italian Navy Submarines‘ – GREG CARRUBBA (2732-1993) tells us about this forgotten submarine navy. Chapter 18, ‘ANTARCTICA!‘ – H. KEITH THOMPSON (947-1989) delves into Neuschwabenland and rumors of the Third Reich in Antarctica. Chapter 19, ‘Shinji Uchino and I-8‘ – Actual excerpts from the logbook of I-8 as they sailed from the South Pacific to German-occupied France. Chapter 20, ‘the Drumbeater‘ – REINHARD HARDEGEN (102-1985) tells us much of his experience coming to the USA in January 1942 during Operation Paukenschlag (Drumbeat). Chapter 21, – ‘The Mysterious Voyage of U-977‘ – S.E.I.G. Agent WEIBINGO gives us the real story of this boat and debunks the well-known voyage of 66 days submerged. Chapter 22, ‘Helmut Schmoeckel at War’s End‘ – HELMUT SCHMOECKEL (1455-1990) tells of his time commanding U-802 at the end of the war. 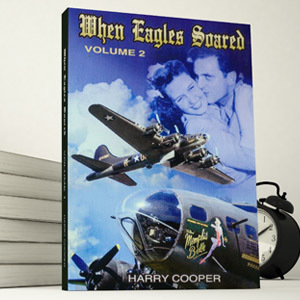 Chapter 23, ‘Cape Fear‘ – HAROLD FLAGG (3665-1994) tells of his time working aboard the Esso tanker CHESTER O. SWAIN at sea when the US got into the war……….and how it went for him and his ship shortly thereafter. Chapter 24, ‘Loss of USS BLOCK ISLAND‘ – From various sources about the loss of this aircraft carrier in the Atlantic. Chapter 25, ‘Tethered Goats‘ – A. J. TARANTINO (1496-1990) tells how a great many Japanese Kamikaze pilots were lured to a meaningless death off Okinawa. Your copy will be hand signed by the author. The book consists of 230 pages with dozens of photographs.